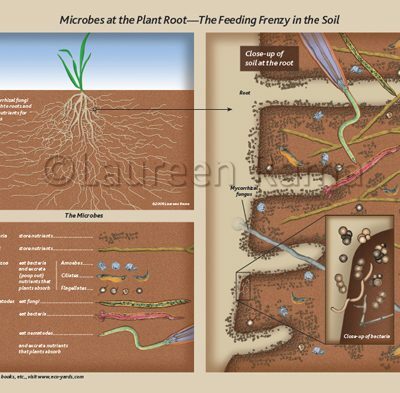 Our Eco-Yard Spray packages include 3 applications of our Compost Tea during the growing season. 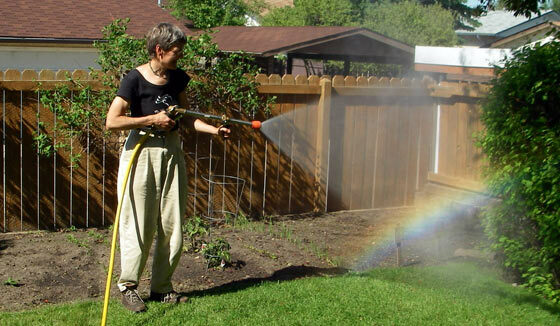 Your yard will be sprayed in May-June, late July and mid-September. 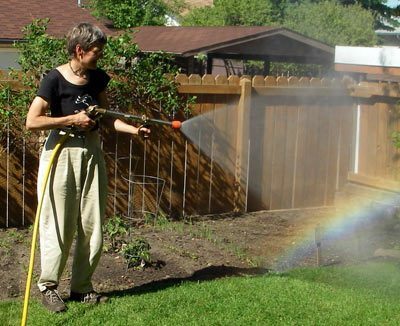 Eco-yards™ Spray is an aerated compost tea spray, made with high quality compost and organic fertilizers. Our chemical-free yard care service is to spray the leaves and needles of all your trees (up to 40 feet or 12 m high), your shrubs, lawn and other plants and soil. 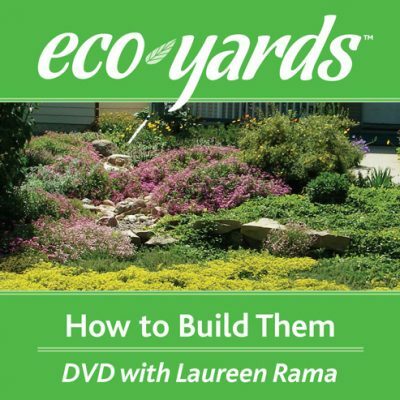 The Eco-yards™ Spray service is offered three times a season in Calgary and region to bring more life and health to your plants.